Internationally-acclaimed trumpeter Alison Balsom joins Frances Fyfield to study the manuscript of Johann Hummel's famous, and famously challenging, Trumpet Concerto. Johann Hummel was a hugely important figure in the musical landscape of the early 19th century. He worked alongside Haydn, Mozart, Schubert, had a love-hate relationship with Beethoven. He taught and inspired the likes of Felix Mendelssohn and was both a celebrated pianist and composer. But today he's best known for composing one of the two great trumpet concertos of the Classical age. Along with the Haydn, composed a couple of years earlier in 1801, Hummel's Trumpet concerto was a response to the new technology being pioneered by the instrument designer and player Anton Weidinger. There are many challenges throughout the modern trumpet repertoire but the Hummel is still a proving ground and Alison Balsom is one of those to have mastered it. 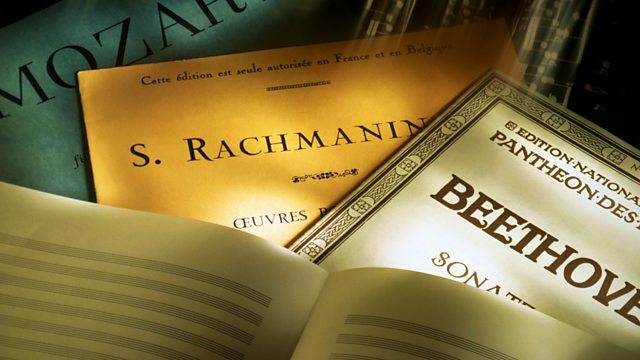 She joins Frances Fyfield and the musicologist Thomas Schmidt to find out how the original manuscript differs from the version performed today which benefits from the later development of the valved, rather than the keyed, trumpet. Nicolas Bell of the British Library reveals how Hummel's concerto came to be housed here and, with her trumpet on hand to illustrate, Alison Balsom explains the finer points of 'double-tonguing' a technique vital to the performance of the concerto's dazzling third movement. Above all else the easy, dancing music Hummel created for the newly versatile Trumpet of the 19th century is given a welcome celebration.